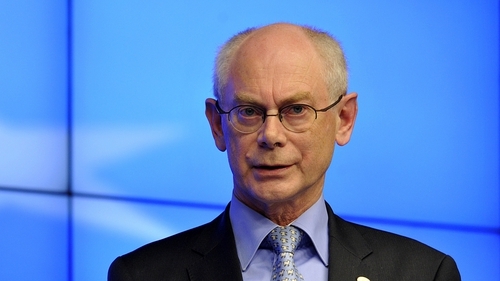 The former president of the European Council, Herman Van Rompuy, has said that despite Brexit, the opportunities for Irish businesses to grow within Europe are infinite. Speaking in Dublin today, Herman Van Rompuy said that regulatory certainty and standards provided by EU frameworks continue to facilitate trade and help businesses to sell into a wide range of markets. "Membership of a market with a population of over 320 million with harmonised standards has and will continue to be good for Irish business. "Irish companies' advantage lies in the innovation, quality and especially the people behind the goods and services produced here and it is these assets that will further advance brand Ireland within the Euro zone," he said. He made his comments at the Enterprise Ireland Euro zone Summit in Dublin today. The summit brings together business people, professionals and buyers across a number of sectors and markets in a combined effort to grow trade between Ireland and the euro zone. Julie Sinnamon, Enterprise Ireland's chief executive, said that as Irish companies plan their Brexit strategies, the euro zone provides many advantages for exporters including currency stability, no customs or tariffs and common and mutually recognised standards. "Irish exporters now need to look at the euro zone area as an extension of our own market, and we are working with over 500 companies to help them expand into the euro zone," Ms Sinnamon said. As part of Enterprise Ireland's strategy, it is aiming to increase exports to the euro zone by 50% by 2020. Enterprise Ireland today published its international trade mission and events schedule for 2019 to support Irish exporters. It will feature 207 events scheduled in Ireland and overseas to include 73 international trade visits.